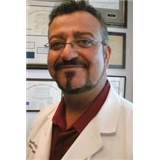 Dr. Nader Abdelsayed & Associates (North Las Vegas) - Book Appointment Online! He was great. He answered all my questions. I felt comfortable and with just one visit I can easily say I trust him to take care of me and my baby. He was very professional and very caring. I would highly recommend him as a gyn. I like my visits with this doctor. Is his staff is nice and they do their jobs correctly.